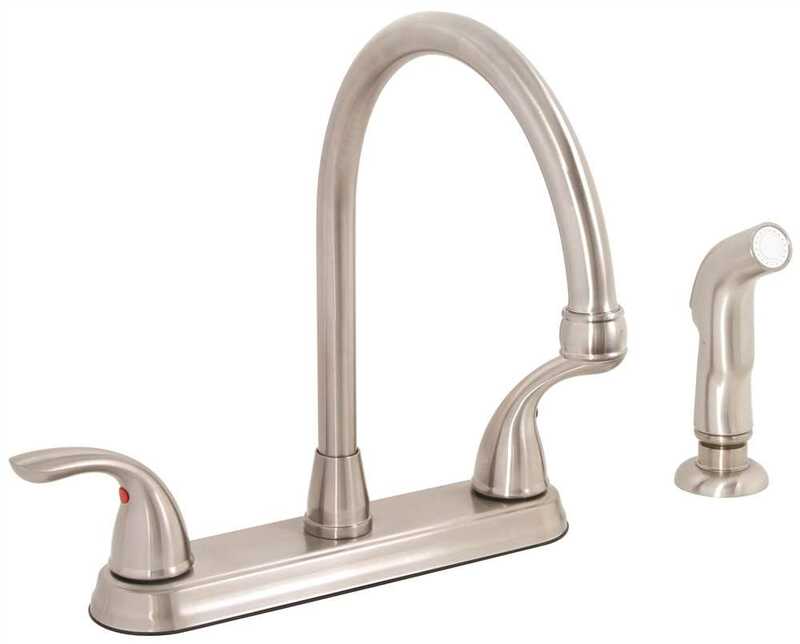 The Design House 525790 Madison Kitchen Faucet with Sprayer and Soap Dispenser features a dual handle design with a 46-inch soft hose external side sprayer which eliminates baked on residue and rinses dishes and silverware clean of food and grime in hard to reach areas. Insert your favorite dish or hand soap in the included side soap dispenser for quick, easy access when cooking or cleaning. 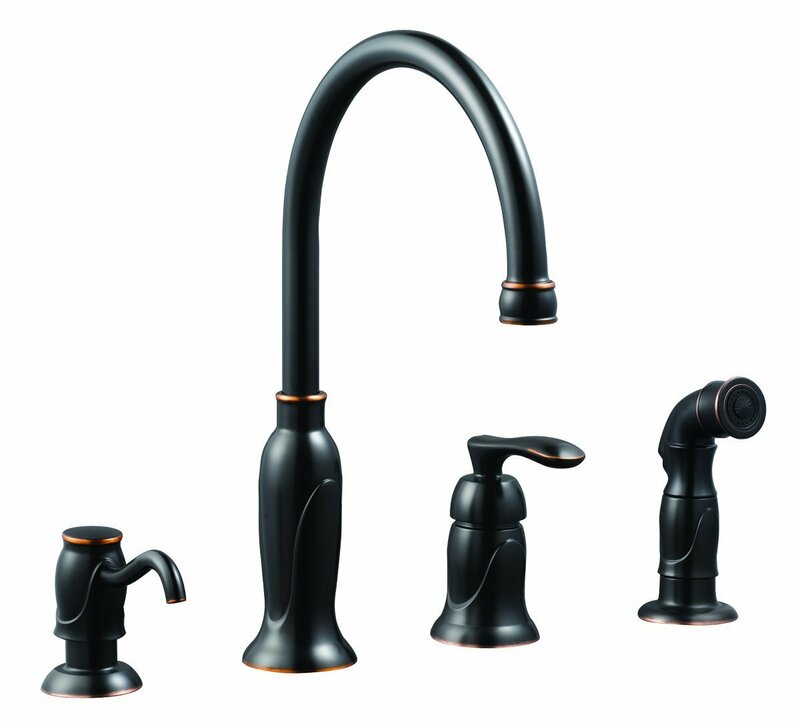 Finished in sleek oil rubbed bronze, this faucet set is refined and elegant with a ceramic cartridge and brass waterways. The brass waterways contain zinc and copper which are known to prevent antimicrobial growth ensuring safe and clean water for your family. 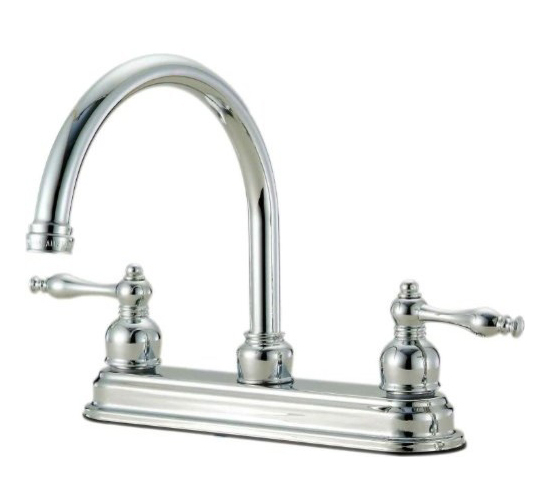 This faucet has a rustic shabby chic design, meshing modern construction with vintage aesthetics contributing to the comfort and style of any kitchen. The 1.5-gallon per minute flow rate ensures a steady water flow after years of everyday use and is UPC, Ab-1953 and cUPc compliant. 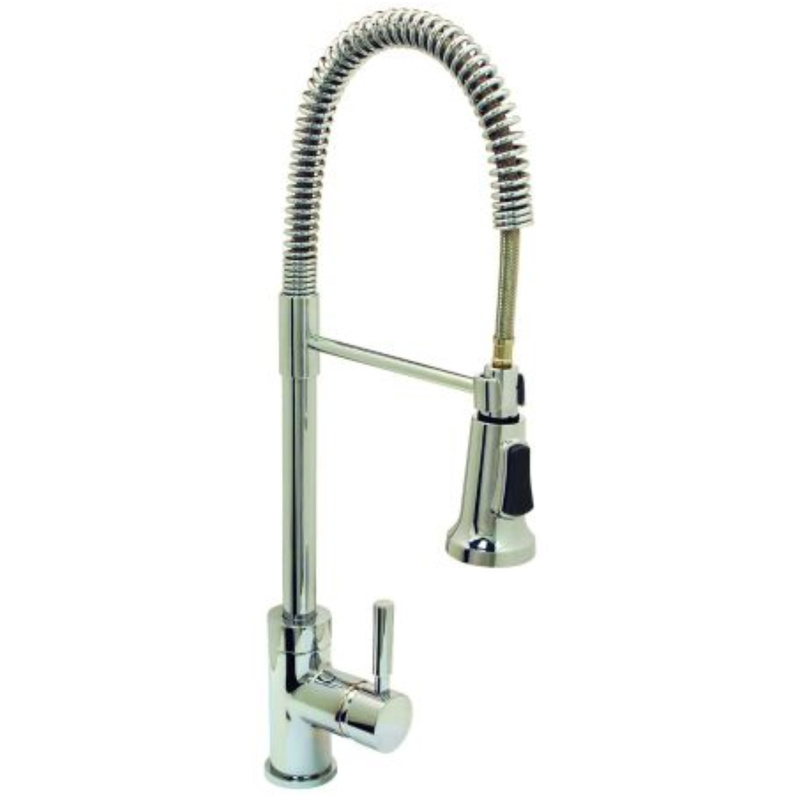 Wash dishes or fill pitchers with ease underneath this high vaulted faucet. With a quick connect system, this product adheres to industry leading practices and standards. 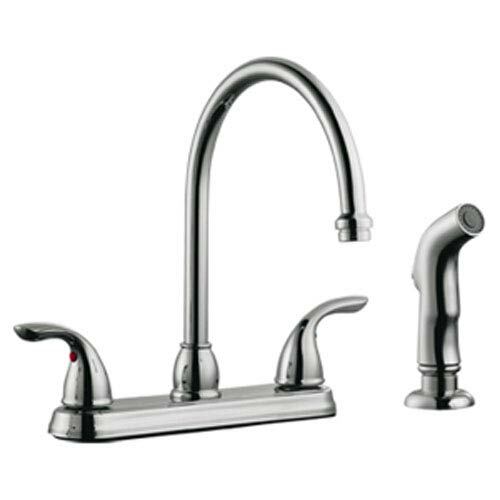 The Design House 525790 Madison Kitchen Faucet with Sprayer and Soap Dispenser comes with a lifetime limited warranty that protects against defects in materials and workmanship. 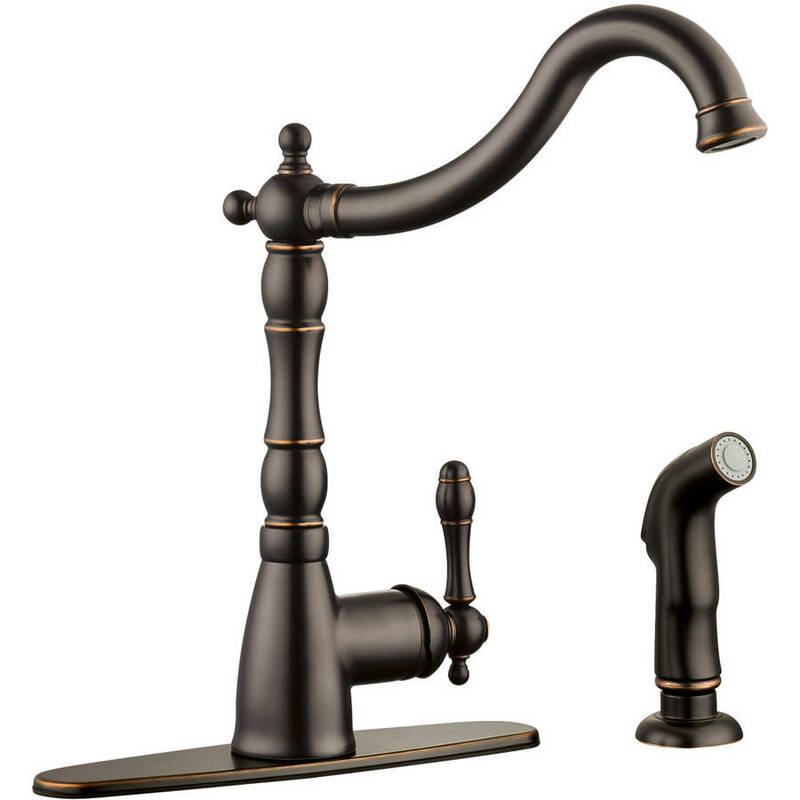 The Design House 524728 Ironwood Kitchen Faucet with Pullout Sprayer features a brushed bronze finish, a 2-function pullout sprayer and a single handle design. Use the bronze finished side sprayer to eliminate baked on residue and rinse dishes and silverware clean of grime and food. 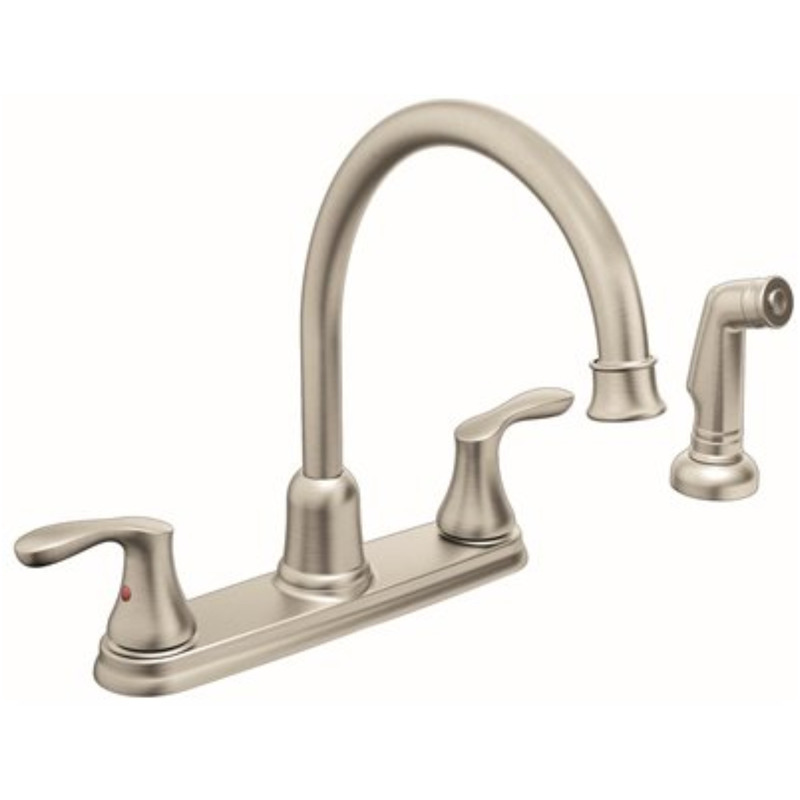 This faucet accents kitchens and countertops with a simple well-built design. 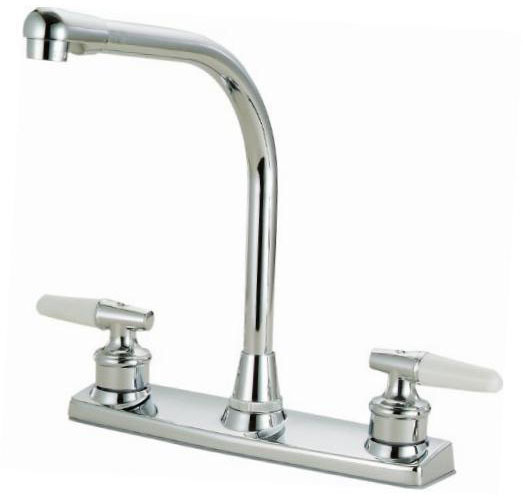 This faucet has a rustic shabby chic design, meshing modern construction with vintage aesthetics and features a ceramic cartridge and quick connect system. It is also AB-1953 and ADA compliant. This product is perfect for remodeling your kitchen and matches painted cabinets and granite counter tops. Providing your home with clean drinkable water, this item guarantees a steady flow after years of everyday use. Wash dishes or fill pitchers with ease underneath this high vaulted faucet. 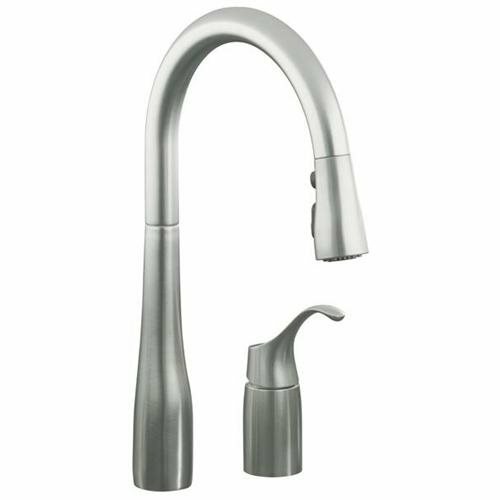 The Design House 524728 Ironwood Kitchen Faucet with Pullout Sprayer comes with a limited lifetime warranty that protects against defects in materials and workmanship. 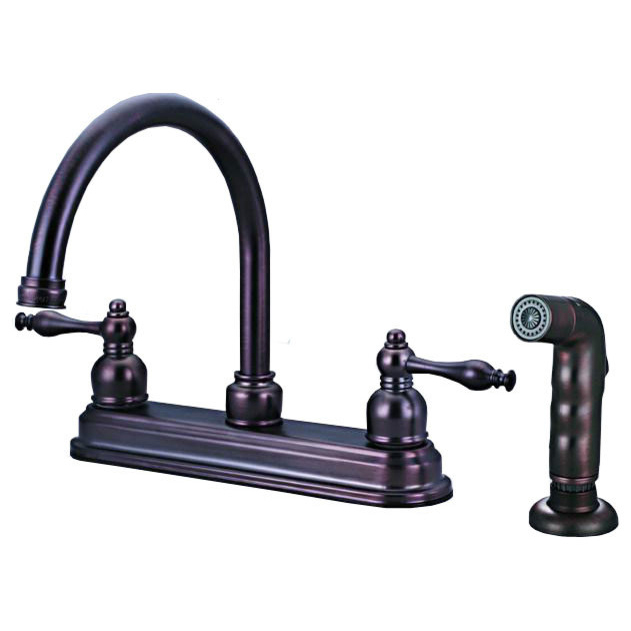 The 710-BN Four-Hole Kitchen Faucet is available in a brushed nickel, oil-rubbed bronze, or chrome finish. It contains a 360 degree spout and includes a soap dispenser and side spray for easy cleaning. The dimensions for the 710-BN are 2" x 8 1/2" x 13 1/2", and it is ADA approved. 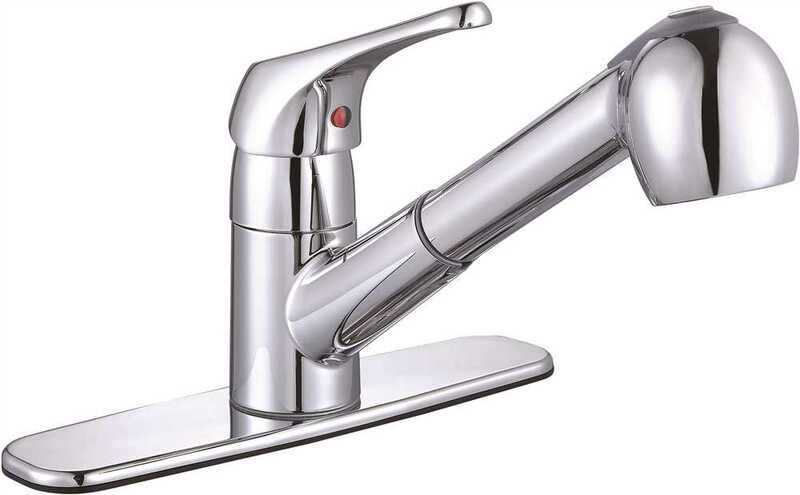 The faucet is pressure tested to ensure proper working conditions and is covered under a lifetime warranty. 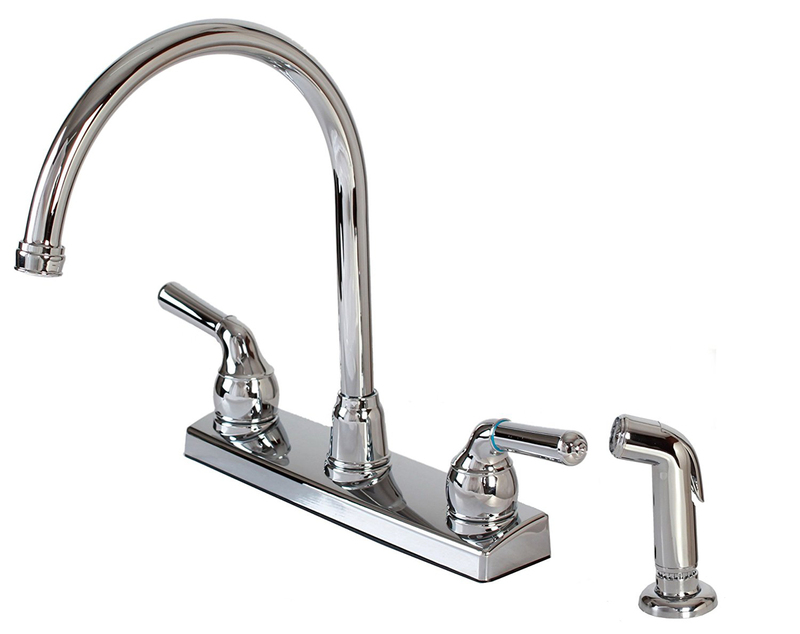 The 710-BN has so many great components that are sure to make your kitchen sink user-friendly. 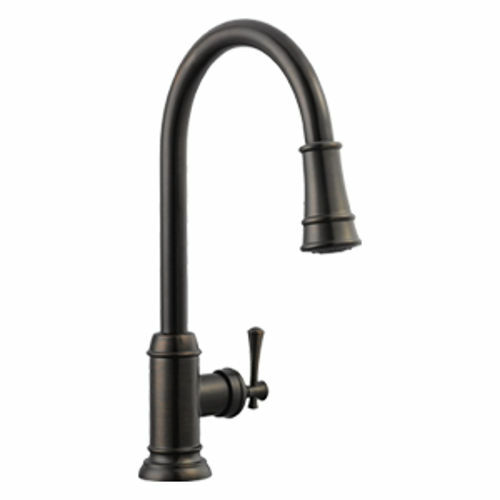 The 772-BN Single Handle Pull-Down Kitchen Faucet has a one or three-hole installation option and is also available in a chrome or oil-rubbed bronze finish. It contains a multi-function spray head with a 56" metal hose and is ADA approved. 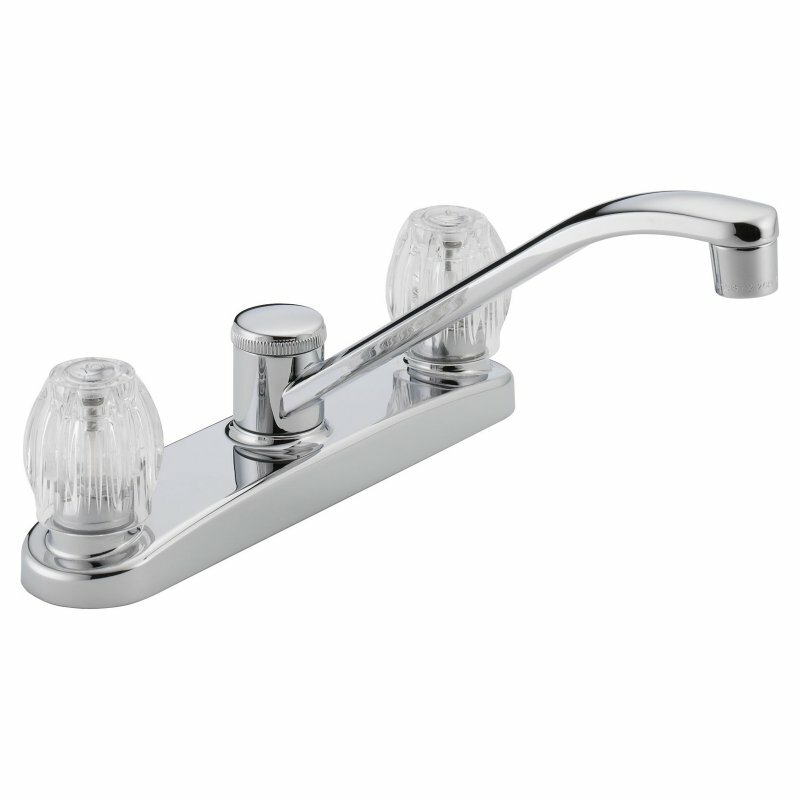 A matching base plate is available with this faucet that will have a corresponding finish. The dimensions for the 772-BN are 2 1/4" x 9 1/4" x 14 5/8". 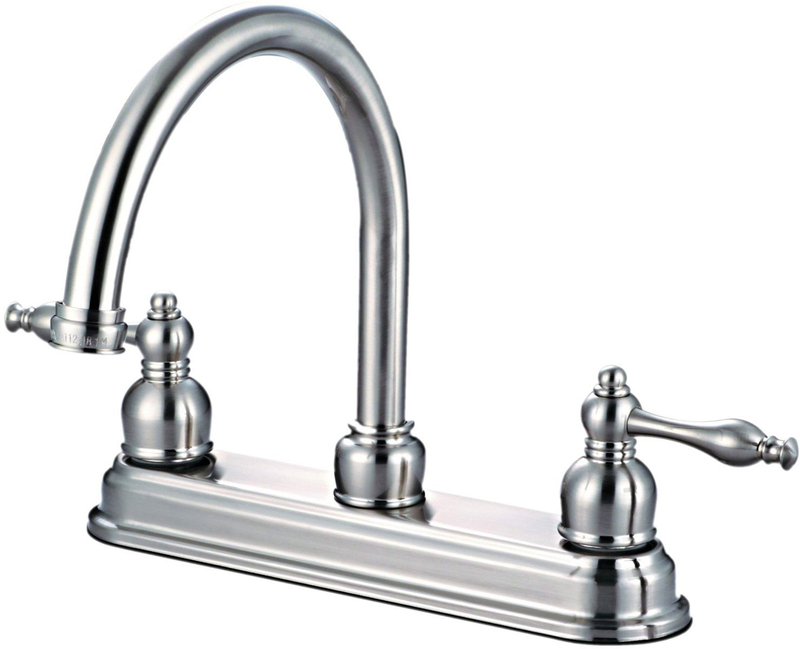 This faucet is pressure tested to ensure proper working conditions and is covered under a lifetime warranty. 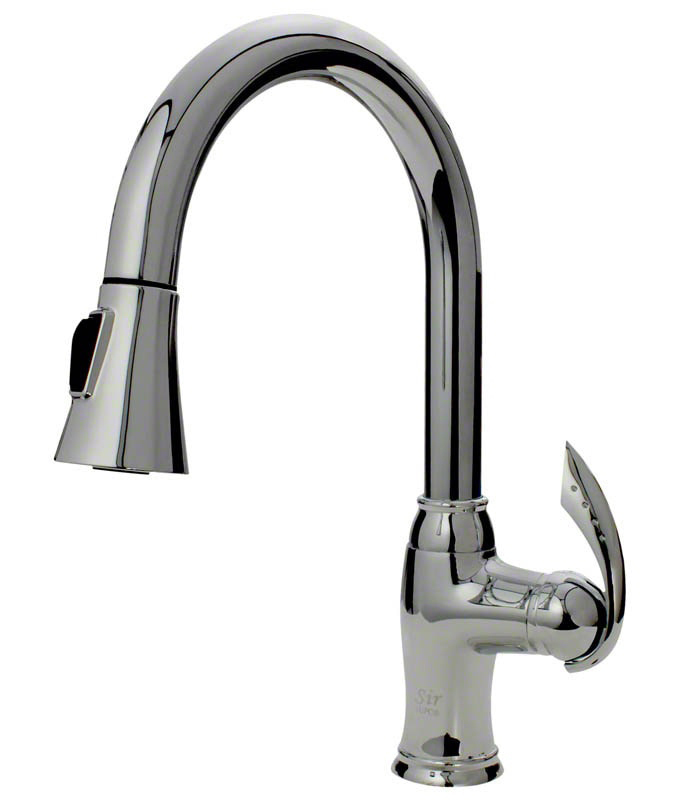 The 772-BN is sure to add functional style to any kitchen sink. 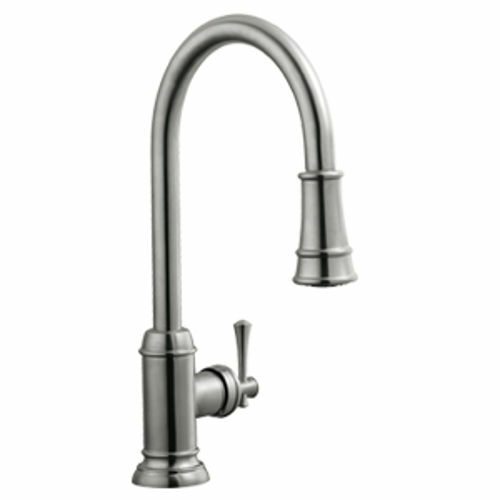 The 772-C Single Handle Pull-Down Kitchen Faucet has a one or three-hole installation option and is also available in a brushed nickel or oil-rubbed bronze finish. It contains a multi-function spray head with a 56" metal hose and is ADA approved. 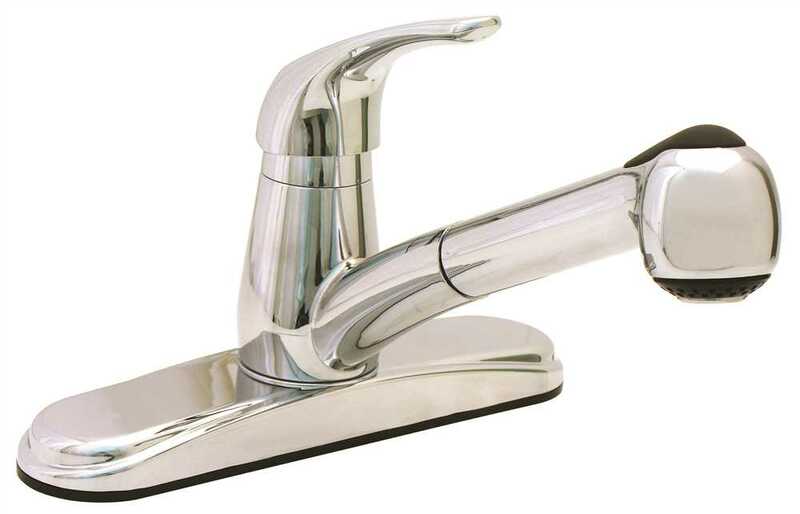 A matching base plate is available with this faucet that will have a corresponding finish. The dimensions for the 772-C are 2 1/4" x 9 1/4" x 14 5/8". 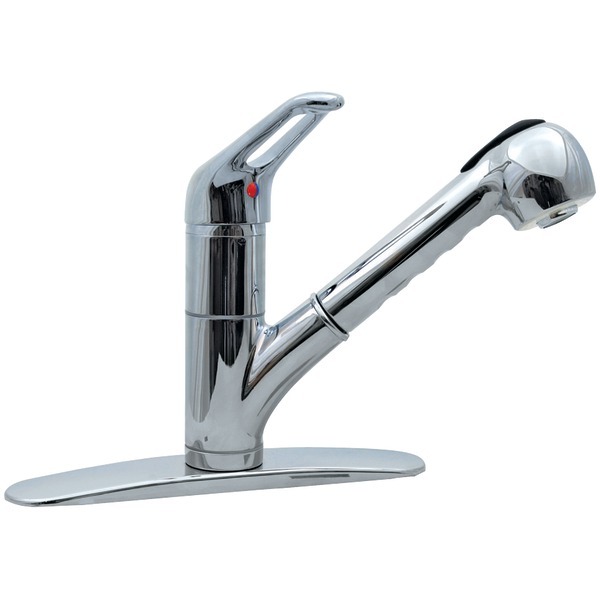 This faucet is pressure tested to ensure proper working conditions and is covered under a lifetime warranty. 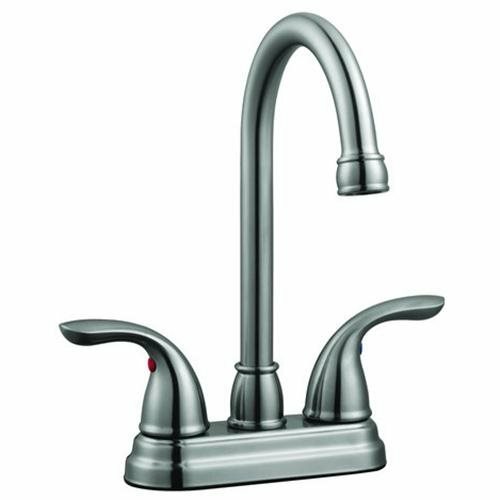 The 772-C is sure to add functional style to any kitchen sink. 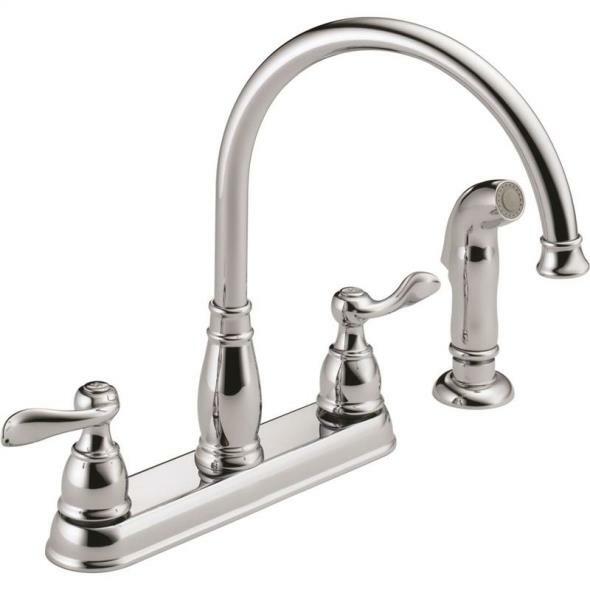 The Design House 523290 Oakmont 4-Inch Lavatory Faucet features a dual handle design, 3-hole, 4-inch mount and 50-50 pop-up for sealing your drain. 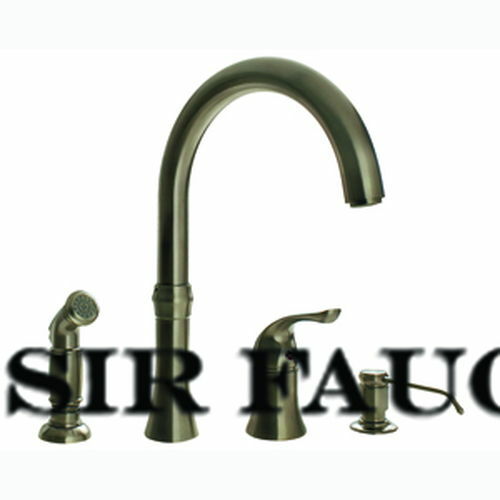 This faucet's body is made of brass and the handles are made of zinc alloy. 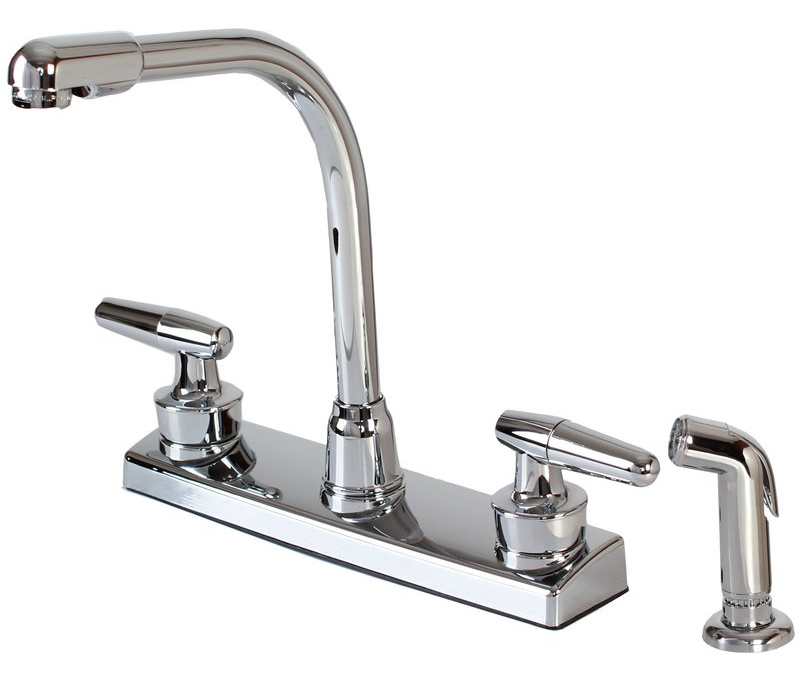 Finished in satin nickel, this vintage inspired faucet has a ceramic disc cartridge. Compared to the 1-5 year lifespan of traditional faucets, ceramic disc faucets can last up to 30 years and provide ultimate protection against corrosion to the water valve. The 1.5-gallon per minute flow rate ensures a steady water flow after years of everyday use and the high vaulted spout extends 5-inches which leaves plenty of room for washing your hands. 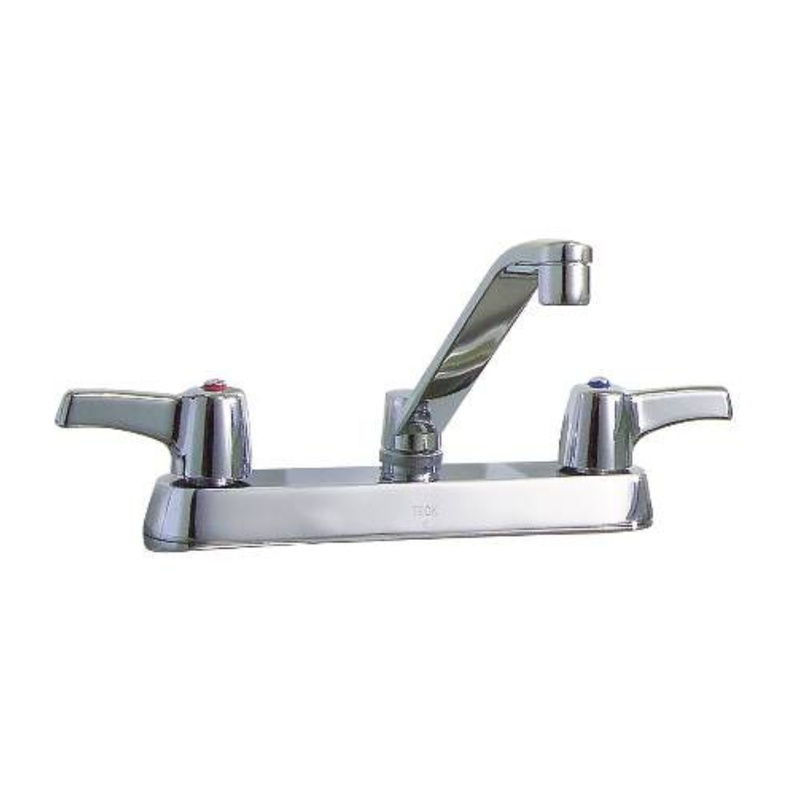 This faucet has a quarter turn stop lever handle operation and is UPC, ADA, Ab-1953, and lead-free and cUPC compliant. 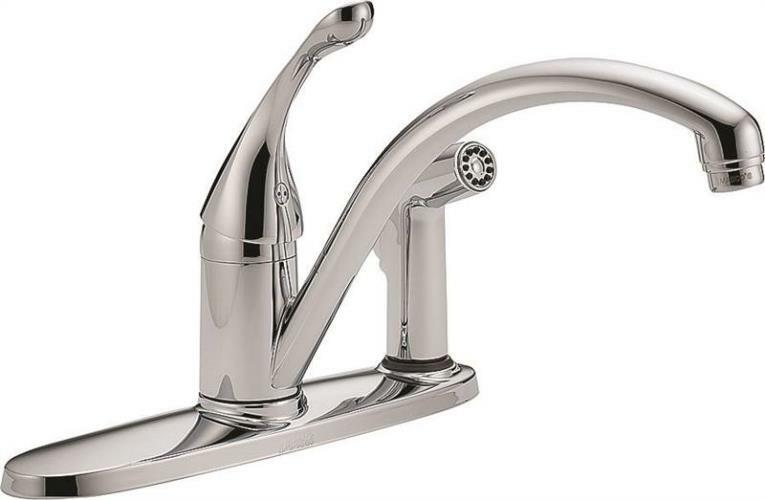 The Design House 523290 Oakmont 4-Inch Lavatory Faucet comes with a lifetime limited warranty that protects against defects in materials and workmanship. 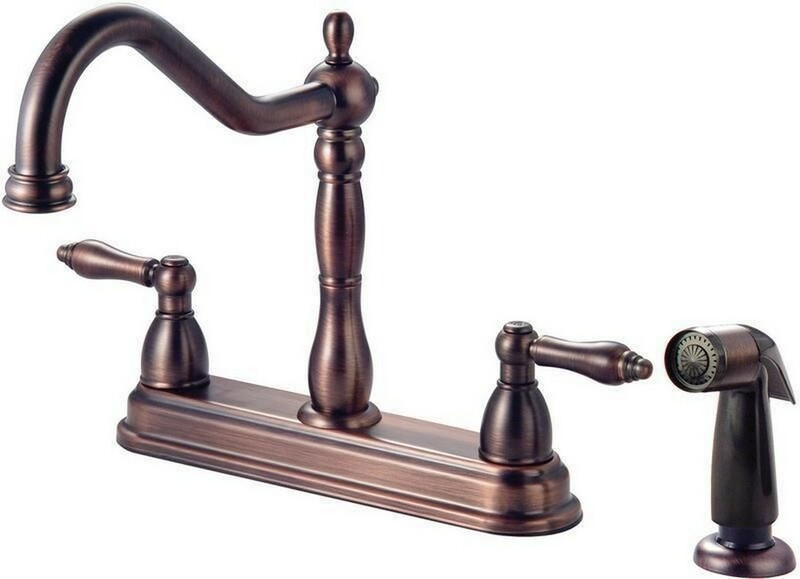 The Design House 523217 Oakmont Kitchen Faucet with Sprayer features a Victorian style bronze finish, side sprayer and single handle design. Use the bronze finished side sprayer to eliminate baked on residue and rinse dishes and silverware clean of grime and food. 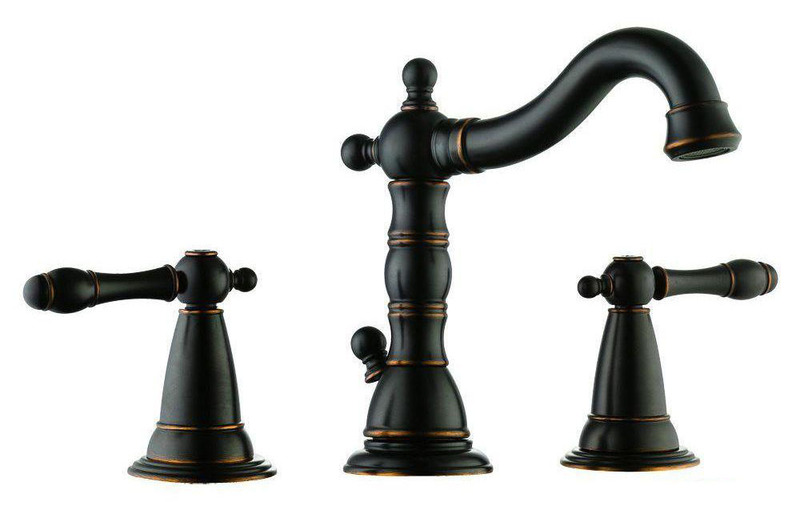 This faucet accents kitchens and countertops with a simple well-built design. 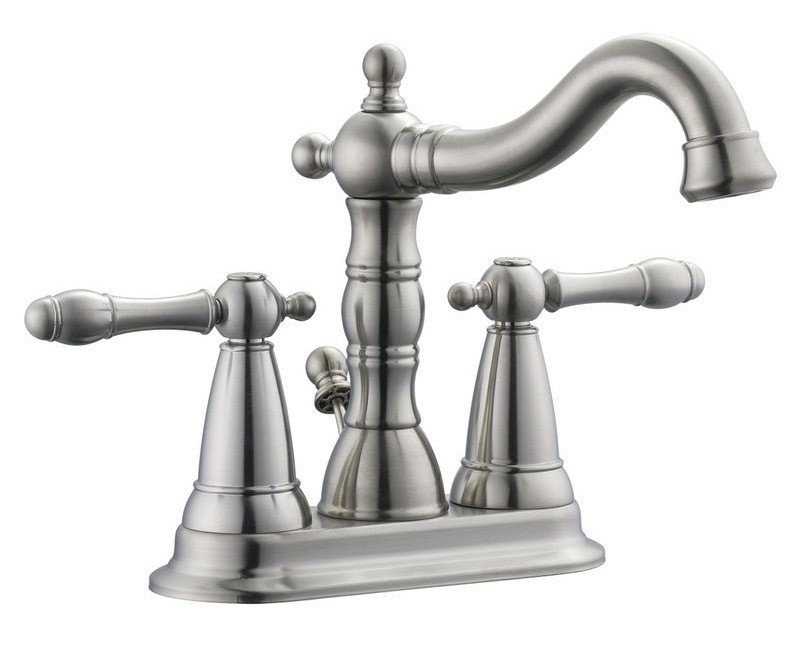 This faucet has a rustic shabby chic design that meshes modern construction with vintage aesthetics. 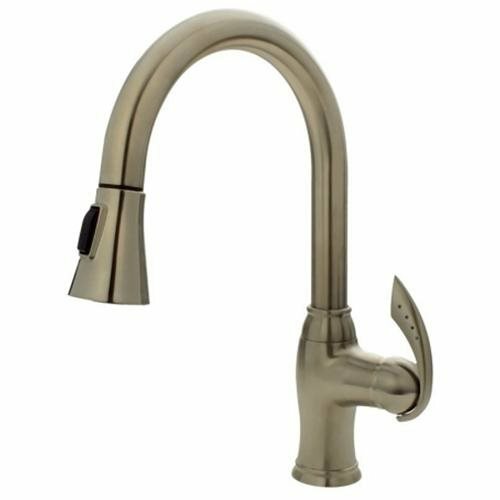 With brass waterways and a removable Escutcheon, this faucet is designed to endure the toughest conditions and is perfect for home remodeling projects. Providing your home with clean drinkable water, this item guarantees a steady flow after years of everyday use. Wash dishes or fill pitchers with ease underneath this high vaulted faucet. 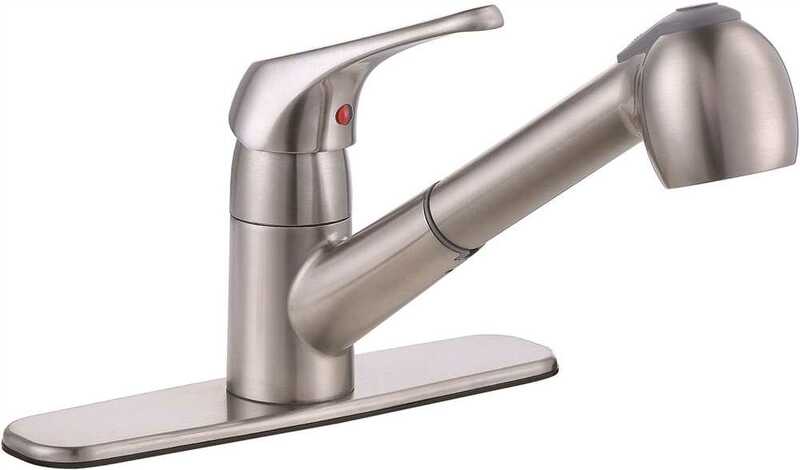 With a 2.2-gallon per minute flow rate, this faucet is ADA compliant and built with your comfort in mind. 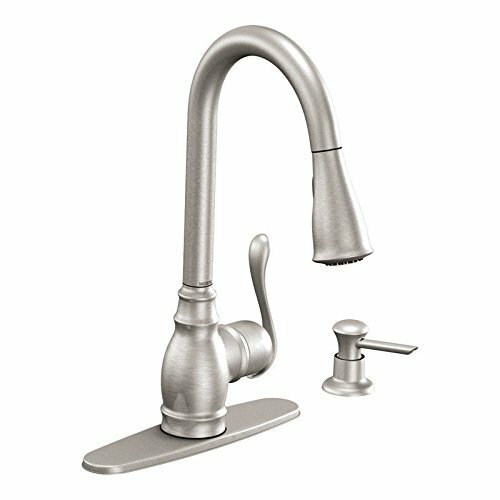 The Design House 523217 Oakmont Kitchen Faucet with Sprayer comes with a limited lifetime warranty that protects against defects in materials and workmanship.